Absolutely beautiful photos Quill! Happy New Year and may the frost be with you–or something like that. Happy New Year to you two too! Great pic’s and a “VERY COOL” tale masterfully told. We don’t get frost like that here much. Can’t remember the last time I’ve seen it. Seen a lot of the stuff coating my windshield so for this winter. No where near as pretty. 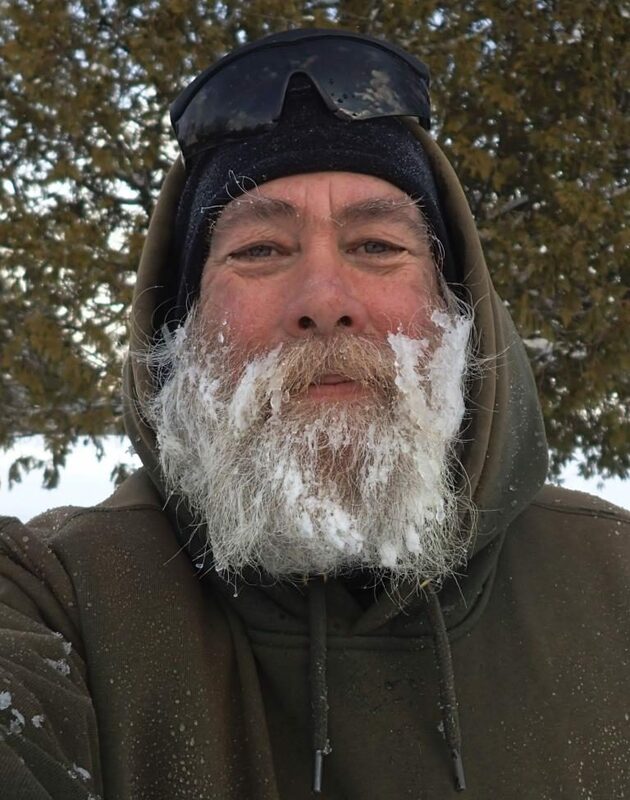 I tried to grow an old man’s beard this winter. Did well till day 7 when I had to decide whether to shave off the beard or just peel off all the skin to make the itching stop. I have to give you credit on your progress toward the old man part, sir. That second (and sometimes 3rd) week can be tough, especially if you have to be in polite company. Some folks don’t appreciate seeing someone else have a good scratch. Good hoar frost isn’t all that common here, a couple times a season maybe. The other morning was exceptional, with those some of those feathers almost two inches long, and I have to say no frost of any kind on the windshield is any fun.